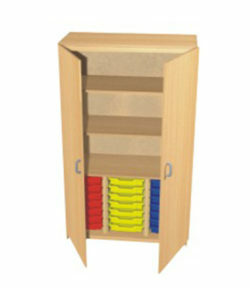 This storage cupboard comprises a fixed shelf and two adjustable shelves. 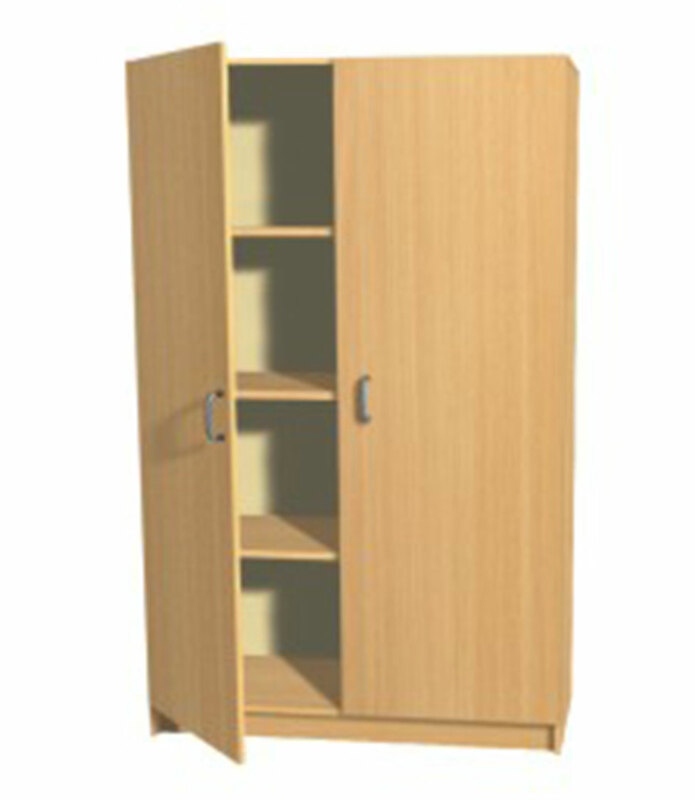 Manufactured from MDF with a beech finish. Please add £ 20 if door locks are required.